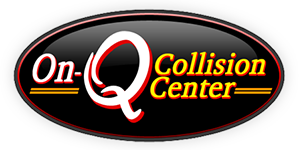 Owners Jeff Bartnik, Natalie Wadinski & Ed Plisch opened On-Q Collision in 2007 with the goal of providing auto body repair & collision services that offer great value to all of our customers. We understand that value can be different for each person and every vehicle. 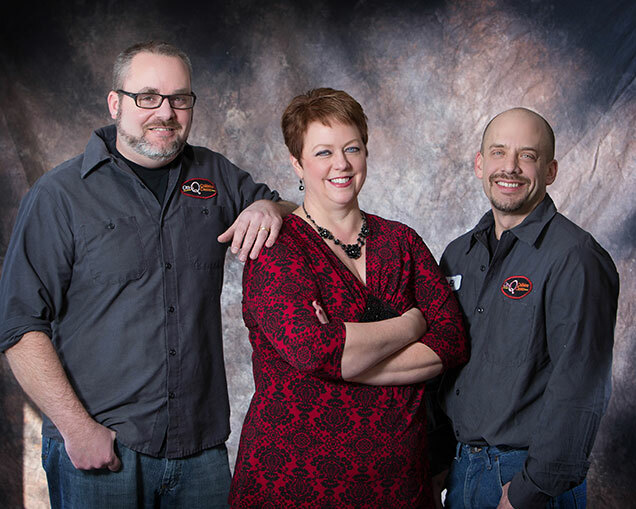 We brought with us 40 years of combined auto body experience and knowledge. Jeff and wife (Samantha) live in Weston. Jeff has a passion for unusual antiques and creating new things from older items. That is part of what makes him so good at helping you walk through your repair options. Natalie and her husband (Dale) live in Kronenwetter. Her passion lies in quilting, camping and loving her children and grandchildren. Ed and his wife (Laurie) live in Mosinee. Ed has a passion and eye for color and enjoys showing his creativity through his art. That what makes him one of the best auto body painters around. Our Mission is to provide our customer with an accurate repair and the best customer service in this industry. Experience and Knowledge - We employ certified technicians for all areas of work performed and our staff have several years of experience in the auto body repair industry. We take pride in our workmanship and our ability to return your vehicle to you in better than pre-loss condition. We are a results driven company, meaning that we know the power of customer referrals. We strive to provide an unexpected level of satisfaction. We want you to feel comfortable referring your family and friends to us. We know the frustration you have when your car or truck is in the shop, so our goal is to complete your repair as quickly as possible while maintaining our quality. Enjoy the friendly, down to earth customer service and relax in our temperature controlled waiting area loaded with complimentary refreshments and a TV for your entertainment. We provide free wireless internet and a comfortable work station if needed. We are pet friendly. Our hourly body shop rates are very competitive and we work on both foreign and domestic vehicles. We have the experience to get the job done right the first time. Our location is very convenient and easy to find. We are centrally located just off Hwy. 29 East between Hatley & Weston (Exit 181). Be sure to contact us today and find out why so many people have chosen us for all their auto body and collision repair needs.